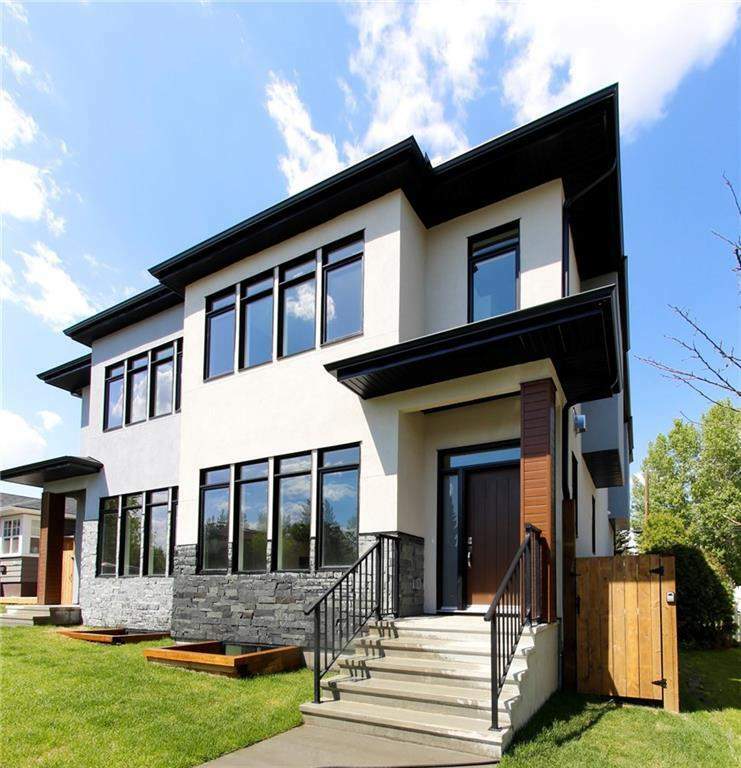 DESCRIPTION Beautiful & brand new in the wonderful inner city community of Mt Pleasant. This home truly feels more rustic and loaded with character vs white and stark... From the stone, stucco & woodgrain exterior to the luxurious finishings and warm design of the interior—Wide plank rift cut hardwood floors, open concept design space of 9 ft ceilings, walnut accent panels and custom built-ins..Quartz counters w/ large, focal sit up entertainment island & Euro-imported tiling, SS appliances & Kingsmere cabinetry & marble gas fireplace complete the main. 3 large bedrooms up, each with their own personal Master Ensuites, 3x walk-in closets, stand alone tub, all w/ heated floors, sunny skylights & designer lighting & finishings. Lower level is fully finished w/ 9ft ceilings, 4pc bath + extra bedroom, living area w/ 10 pound carpet underlay & cocktail bar. This is a green power energy home w/alum clad Lux low-e windows, vacflo & sound system r/i. Large back deck, Double Garage, landscaped and ready for possession today!